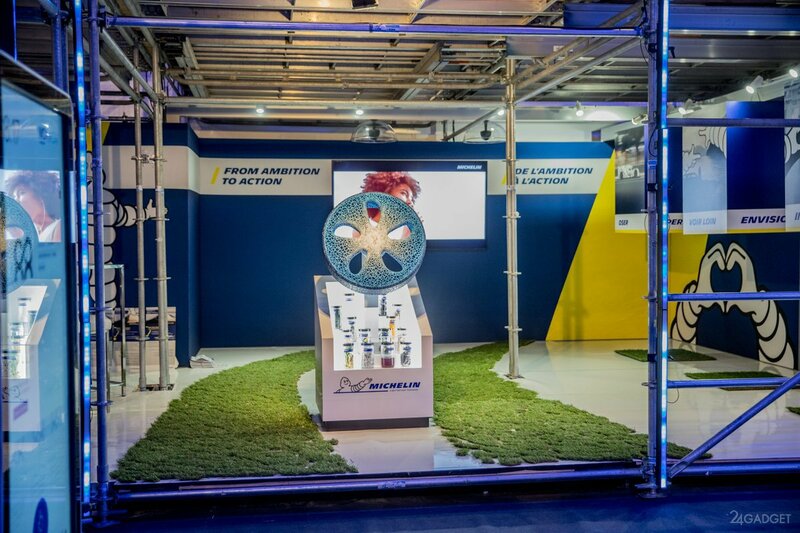 The exhibition Movin On in Montreal (Canada) by the French company Michelin introduced its own vision of the car wheels of the future. 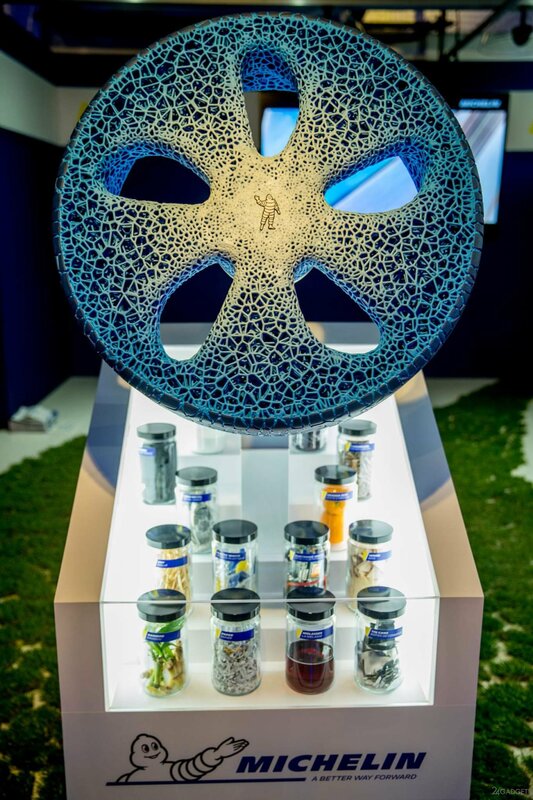 Company, is a world leader among producers of automobile tires showed the original wheel Vision, entirely made with 3D printing. Structural novelty is a tire and rim, United in a single whole product. Elastic outer part smoothes fluctuations in the movement of the vehicle, while the rigid Central part serves for mounting the wheel. 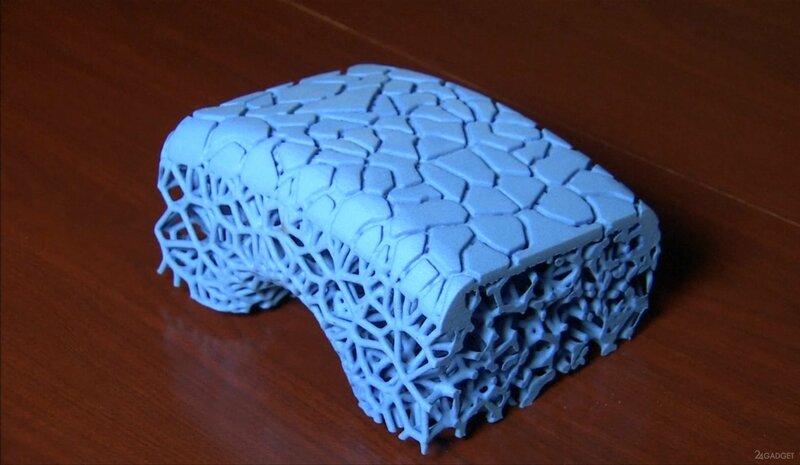 The structure of the material from which made the wheel resembles the porous structure of the alveoli that make up the lungs of animals. Vision fully printed on a 3D printer from biodegradable material: bamboo, paper, wood, natural rubber or even orange peels. Using built-in sensors, the driver can monitor the wear of the working part of conceptual wheels, as later to be recycled for subsequent printing of the new wheels. You can change the tread pattern depending on season and the changing quality of the road surface. Even to change summer rubber on winter enough to retype the wheel. Thus, in addition to increase the security of the drive increases durability of the wheels, which, according to the developers of Michelin, 10-15 years. This approach to “recycling” will lead to a reduction in the rate of environmental pollution. In the absence of in-house 3D printer Michelin offers printers Print & Go, which will be installed on branded service stations and, according to the plans of the company, will be located along the main highways. 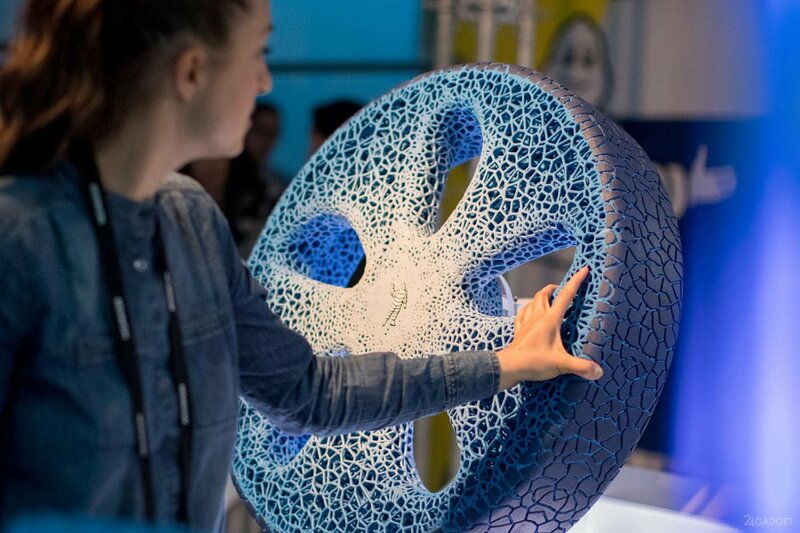 While the Michelin company presented a conceptual vision of the wheels of the future, the case has not even reached a working prototype. Is not specified or value of products or detailed technical parameters. 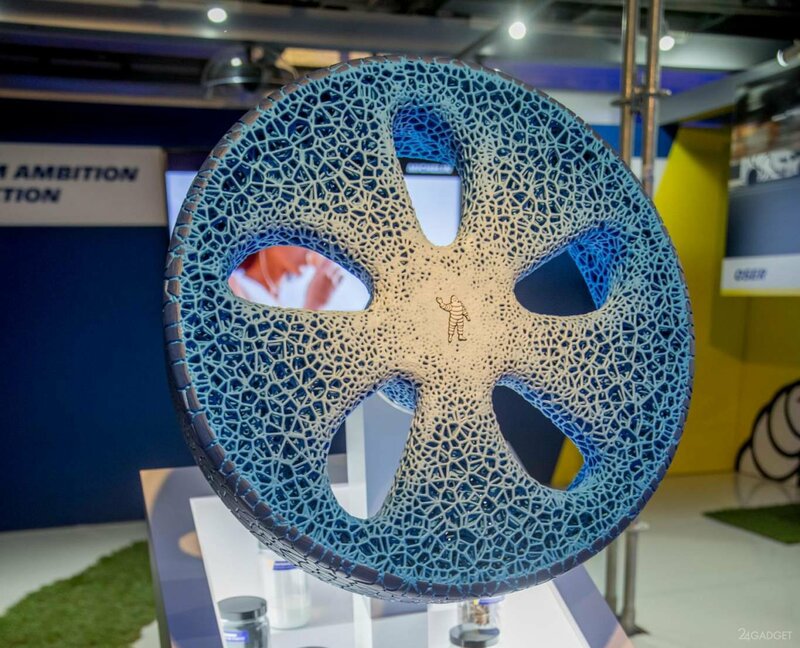 You are reading an article on the Automotive wheel Michelin Vision will print on a 3D printer (14 photos + video). 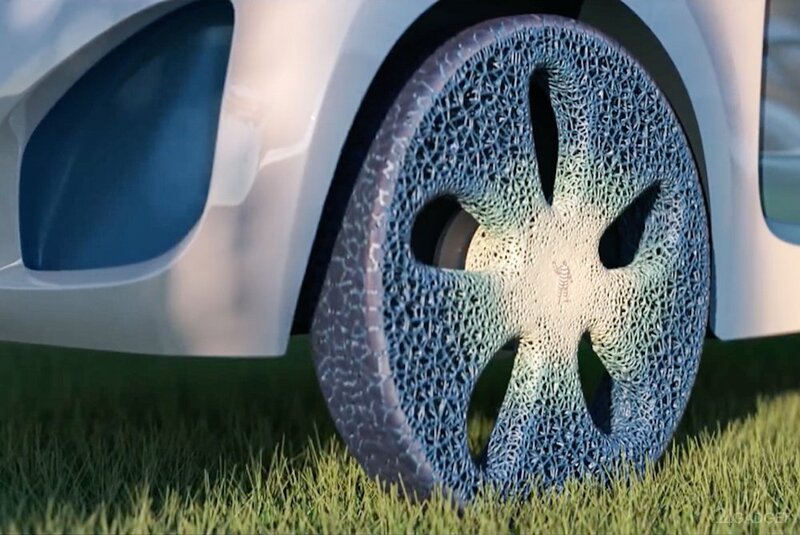 All materials on the site Gadgets F, а также и статья Automotive wheel Michelin Vision will print on a 3D printer (14 photos + video) - written for the purpose of information enrichment and we are happy if you like our magazine. Why colony on Titan may be a better Martian?